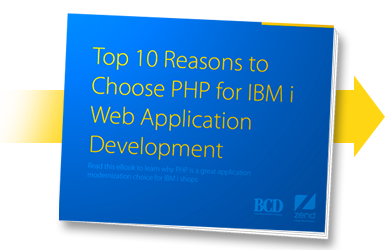 Learn why PHP is a great choice for IBM i web development and application modernization. When deciding on an IBM i web development strategy, it's important to choose technologies that are easy for RPG programmers to learn, attract new programmers and grow with technologies like mobile. PHP gives you all of this and more. Complete the form to the right to download it now! You can also learn more about WebSmart and Zend Server.